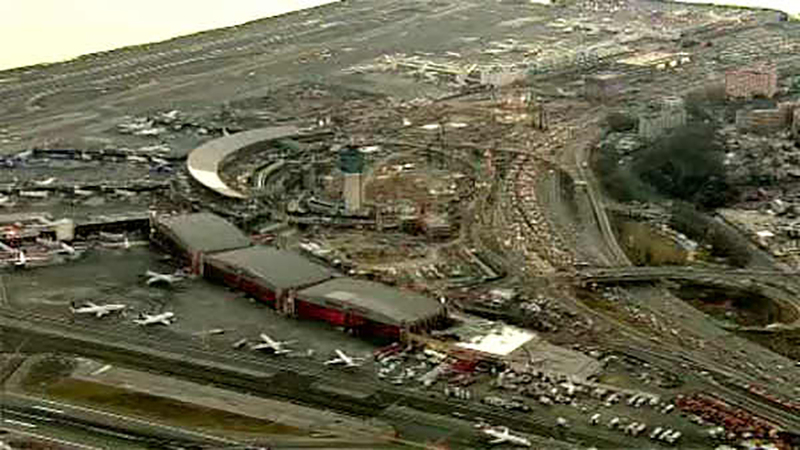 NEW YORK (WABC) -- A LaGuardia Airport worker is charged with using his cell phone to record a woman in an airport bathroom. 39-year-old Samuel Rodriguez of College Point, Queens is charged with second-degree unlawful surveillance. According to Queens District Attorney Richard Brown, a woman entered a one-stall unisex restroom at about 9 p.m. Wednesday, right after Rodriguez stepped out. She soon heard a beeping sound and spotted a cell phone within the paper towel dispenser. The phone's camera was allegedly angled to capture anyone using the toilet directly across from the paper towels, Brown said. "The defendant is accused of an egregious invasion of privacy in an attempt to satisfy his lewd sexual desires," said Brown. "The victim was literally saved by the bell when the defendant's cell phone alarm began to buzz and she spotted the hidden phone." Brown said Rodriguez told authorities, "I was trying to video pretty girls." The investigation was conducted by the Port Authority Police Department.